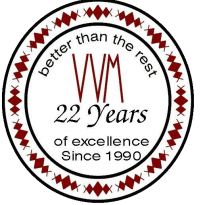 With an unmatched professionalism and comprehensive knowledge of the South African Business Environment, VVM Attorneys has gained the reputation of a progressive commercial law firm that offers a full range of legal services to both corporate and individual clients. Our lawyers assure their clients of getting the best legal advice in whatever problem they may have. To attain consistently outstanding results, VVM applies its innovative approach and creative business solutions guaranteed to suit and meet every client’s individual needs. We take sufficient time to understand our client’s business and their objectives in order to develop a strategy that will lead to success in all situations. Our dynamic approach lies on our search for better ways to provide creative and cost-effective legal and business solutions for our clients. It is a personal approach, mixed with the highest standards of professionalism.